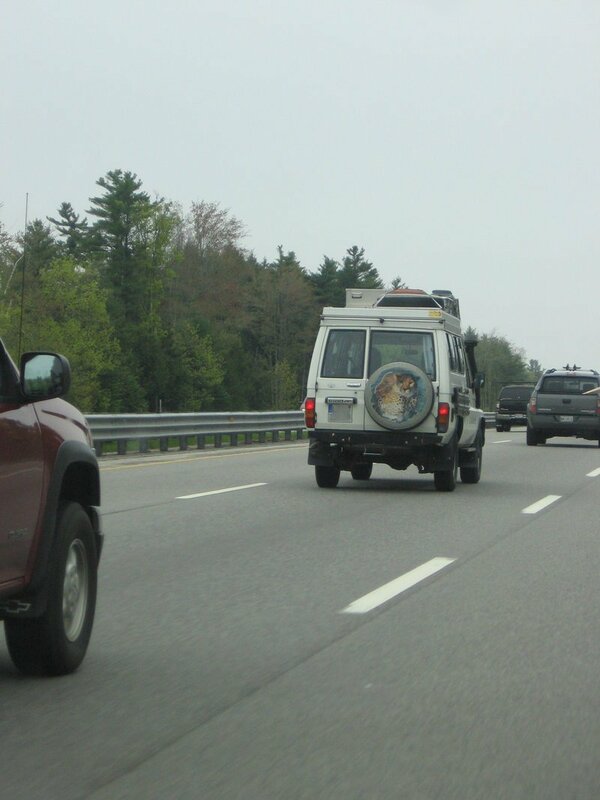 A Toyota Land Cruiser, decked out in what looks like safari gear… with German license plates? 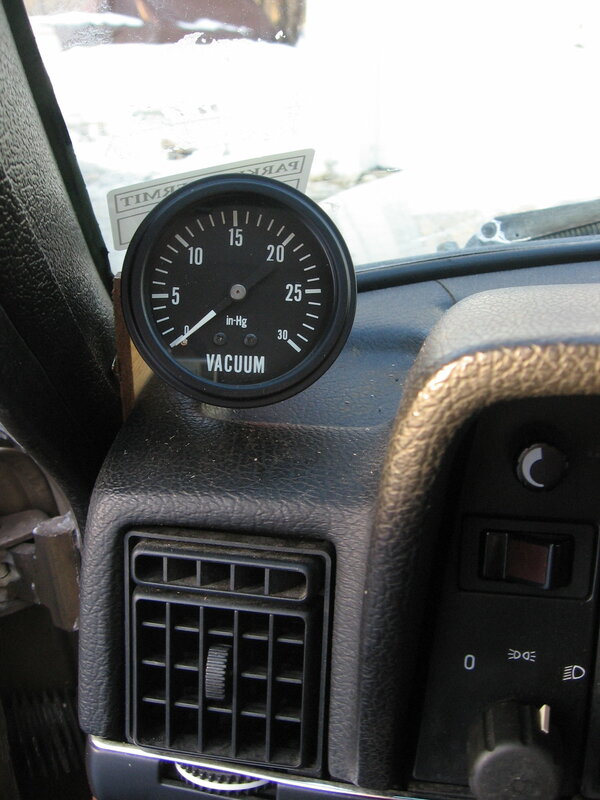 In my quest for fuel economy – and in the interest of having more gauges and fancy lights in my car – I installed a vacuum gauge. Since I drive a car made well prior to the advent of ODB-II I am left out of all the fun electronic things one can plug in that way I must instead resort to old-school mechanical-type things, like a vacuum gauge. I though I’d document it since the forum people say, essentially, you hook it into the manifold or vacuum line, you can figure it out, it’s not hard. They’re right, but I like photos. So here they are. Gravely wins, Ice loses., originally uploaded by The One True Stickman. No match for the big metal after a two-day thaw. We love our machine. 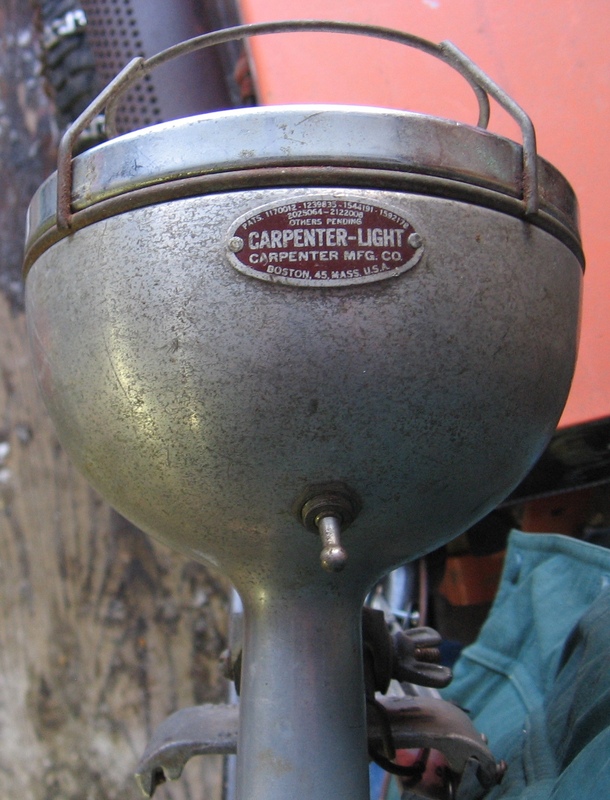 Anyway, my Dad’s Gravely 5260 has an extra bracket welded on to the bracket for the snowblower turn-handle-thingy. It’s a very convenient place to mount a headlight. The Pro 16 I’m running, unfortunately, is not as convenient. The newer quick-hitch snowblower has it’s own handle support, so I’m out of luck on that. But, where convenience fails, random scrap parts can prevail! It’s not pretty but it works. The old trailer worked OK, it had age issues so I decided to replace a couple parts so I could put a tailgate on it and haul leaves. I ended up completely rebuilding the whole trailer, but without sides yet – so I still can’t haul leaves and stuff. Details after the break! I moved the big Gravely up from my Dad’s this afternoon, and am now fully equipped to defeat snow. There is power in driving a full sixteen horse-power of Kohler iron through a snow-bank with a snow-thrower of caliber to remove most snow as fast as you care to wish. 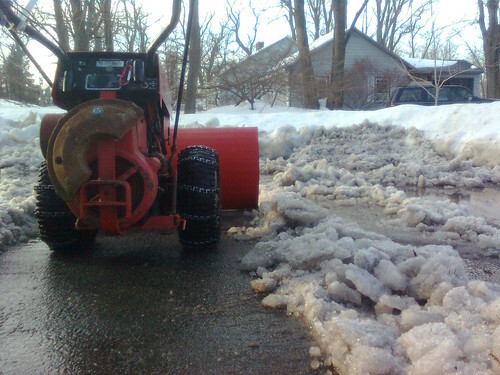 This is to “snowblower” what “humvee” is to “truck”; gear drive, cast iron, and built to last.